Start your day off right with the words of wisdom and inspiration in our 365 Happy Days Calendar! 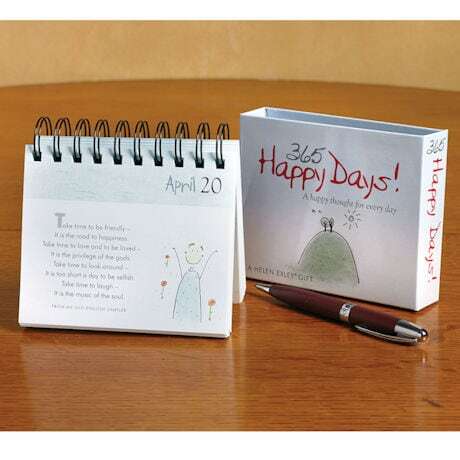 Thoughtful quotations about happiness—from writers, philosophers, statesmen, even kids—are paired with cheerful little illustrations, all packaged in a cute 4½"x5" spiral-bound calendar that can be reused year afer year. Prop it up on your desk, nightstand, kitchen counter…anywhere you need an uplifting reminder of the blessings and opportunities that await you each and every day.